Here is a list of resources to help you begin implementing pharmacist care services into your practice. 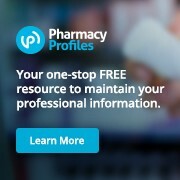 A summary of the services and requirements for pharmacists can be found here. Details for each of the authorized services is located below. If you need additional information please contact the CPhA Center for Advocacy at 916-779-1400. Prior to engaging in this service, receives a minimum of 1 hour of continuing education in hormonal contraception. CPhA offers an approved web-based continuing education program here. Prior to engaging in this service, receives a minimum of 2 hours of continuing education in smoking cessation and nicotine replacement therapy. CPhA will be offering an approved web-based continuing education program soon in 2016! Prior to engaging in this service, receives a minimum of 2 hours of continuing education in Naloxone hydrochloride. CPhA offers an approved web-based continuing education program here. Completes a minimum 10-hour certificate program focused on travel medicine. CPhA offers approved travel medicine Certificate Programs throughout the year; find the schedule here. Completes the CDC Yellow Fever Vaccine course and has a current Basic Life Support certificate. Completes an immunization certificate program. CPhA offers approved immunization Certificate Programs throughout the year; find the schedule here. Completes a minimum of 1 hour of continuing education in immunizations every two years. CPhA offers an approved immunization update program here. CPhA produced this guideline document to help pharmacists implement this service. All California licensed pharmacists may administer drugs and biologics by injection when ordered by a prescriber. As outlined throughout CA Business & Professions Code, Section 4052, all California licensed pharmacists may participate in multidisciplinary review of patient progress, including appropriate access to medical records for the services they may provide to patients or as part of a notification to another health care provider/prescriber. SB 493 also created an Advanced Practice Pharmacist (APP) license category. APP pharmacists have a broader scope of practice than all California licensed pharmacists. Participate in the evaluation and management of diseases and health conditions in collaboration with other healthcare providers. Additionally, APP licensed pharmacists may also initiate, adjust/modify, and discontinue drug therapy pursuant to an order by a patient’s treating prescriber and in accordance with established protocols as required in CA Business & Professions Code, Sections 4052.6(a)5 and 4052.2(a)4. A California licensed pharmacist seeking to obtain an APP license must complete any two of the following three criteria as required in CA Business & Professions Code, Section 4052.6. Have provided clinical services to patients for one year under a collaborative practice agreement or protocol with a physician, APP pharmacist, CDTM pharmacist, or health system. 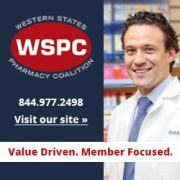 Specific to earning a certification in a relevant area of practice, a pharmacist may meet this criteria through multiple methods, pursuant to CA Code of Regulations Section 1730.1 or Section 1730.2, which includes a certificate program in Advanced Practice Pharmacy practice. CPhA offers approved APP Certificate Programs throughout the year; find the schedule of offerings here.